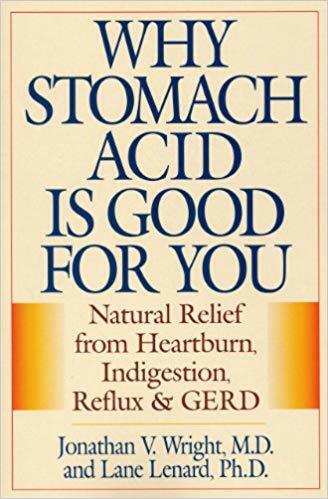 Is there anyone who cured, totally free from gerd? Home » acid reflux » Gerd » Medicine » Is there anyone who cured, totally free from gerd? Is there anyone here who actually cured, totally free from gerd? How did you do that? Please. Need advice. Well you gotta figure out what’s causing it whether that be low acid, low enzymes, low probiotic count, food allergies, h. Pylori or weak les. Once you get the cause figured out you’re about 90% of the way to curing it. Thats obvious but htf do you find the cause. Akash Amat ^I second that. for H. Pylori there is Urea Breathe test too. do you figure out the cause? Really?? Gee I don’t know how about trying some stuff til you figure out a treatment that works. Or get tested for h pylori or all the other stuff I mentioned. We have to see doctor, obviously. They will ask questions, give us prescrbs, ask questions again, running test, and so on. So instead of knowing how to cure yourself from gerd, we know that we there are people like us. Suffering similar sympthoms, worried or even horrified, confused. 😅 Hi, fellow gerd patient. Well i can say i was doing good for six months off meds no pains eating anything until the holidays came! Everyone is so different with causes and symptoms. I had gastric bypass and hiatal hernia repair and no longer have reflux- but that also means I cut out a lot of foods, lost weight, and started diff probiotics at the same time. Me too. Been good for like 5 months, then lowered my guard, started to eat anything i want, doing everything i thought i need to do, and one day, those old friends came visited me, alltogether. what a reunion. so no med at all for 3 yrs? no sympthoms? no drama? no med at all, 2015 is the last I drink a med (that pink syrup, I forgot the name) no sign at all. When I'm hungry, I just eat snacks. So my house sometimes like a grocery store lol. Enjoy your life is the most important thing I guess, just stay away from your stress. everything's gonna be alright. Agree! I try to stay stress free noticed I’m better when i have no stress when i was first diagnosed lost of anxiety stress but now that i know i have gerd stress free and know evrything will be okay as long as i watch my foods. Stress builds acid and scares do too! I've been great for about 5 months. then two weeks ago i started to feel uneasy as i breathe, taking deep breath actually. then other signs followed. doctor prescribed me with cimetidine, antasida, and b compleks. not much better though. You can't cure it 💯%, you however can maintain a diet that excludes trigger foods that would help to make the symptoms less apparent. I'm curious how you did it also! Watching my diet and exercise and making sure you don't eat when you feel burning sensation in your mouth, take your medicine and don't eat foods that cause triggers. I only had one attack this week doing this. This gives me hope I can beat it with out surgery. Thank you! Good job! 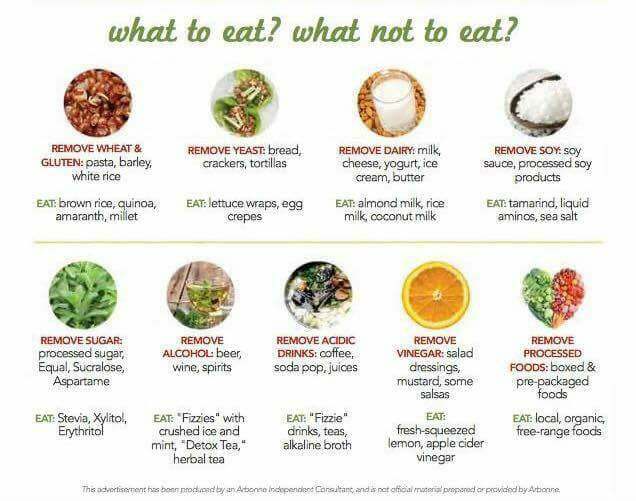 Jennifer Smith, also make sure you eat light and not heavy foods or just snack on fruits that don't burn the back of your mouth. At work I've been sticking to a banana and activia yogurt and something small for lunch. Small portions. My asphugus is severely inflamed but I'm starting to be able to eat more and swallow more things with out chocking now so it must be healing finally. Thank God for bananas as my job is physical. Darn Safeway! Hate when they do that haha. Try activia. I'm not a yogurt fan either but like this. Google them maby someone else sells them. I agree! I have always hated yogurt. Could not make myself eat it. I tried activia, and I LOVE it. It’s the only yogurt I’ll eat!!! Gary Haduca so are you saying that your medication is what has cured you were acid reflux? I'm looking for a way to cure the acid reflux and get off the PPI. Did you do that? I didn't take medicine for it, I just stayed away from foods that cause my acid reflux I had PPI twice and my doctor took me away from it since I was doing better. I’ve never liked yogurt, but found I like kefir. Just plain though, not the vanilla, fruit or eggnog 🤢 ones. Im doing good but know my limits. I'm afraid of surgery because I think I'm better than the ones that have had it. I'm afraid to be worse than I am if I have it. I'm about 95% symptom free, and only have a problem when I "deserve" it. After a single scope, and no further testing, I was misdiagnosed and given the standard high dose PPI's piggybacked with Ranitidine at night. Then luckily I went to my wellness doc (MD who leans naturopathic) who looks at the whole person and not just the symptoms. Cleaned up my diet, lost 70 lbs, with that came the ability to exercise more and strengthened my diaphragm which helped my slight Hiatal Hernia. Then came the kicker ... I didn't have too much acid, but actually not enough. Even a healthy person loses over 50% of the stomach acid production by the age of 50. That's why most of us could eat like a goat when we were 18. So the knee jerk prescription only made things worse but did alleviate the primary symptoms. They did allow me to heal up I guess. A friend of mine who is a full compounding pharmacist said PPI's were never meant to be on for more than a couple weeks, so he just shakes his head when he sees folks on them for years, particularly over the counter without seeing a doc. Anyway, I now take digestive enzymes and extra hydrochloric acid with each meal. This basically allows my food to turn to soup in about an hour and a half to two hours and move on down the tract like it's supposed to. Depending what I eat ... A simple sandwich I take one and one. A standard meal I may take one and two, if I tackle a nice thick rare steak or something fatty I may take one and up to four. Below is the book that pretty much lays out the program, to include a simple test to see if you have low acid. When I can afford an naturopath that's my next step. Jennifer Smith not sure where you are, or your insurance situation, but you may also look for a doc that goes under the field of "wellness" or "functional medicine". My welnesss doc is an MD who leans naturopathic. Many times they are GP's who have insurance affiliation. Chris Kressor ( https://www.facebook.com/chriskresserlac/ ) has a lot of good stuff on this growing form of medicine that looks more at the whole person rather than a myopic look at a single symptom that falls into the area of the doctors specialty. He just put out a great book called "Unconventional Medicine" ... you'll never approach or see your doctor the same way again. And that is a good thing. Yes me,i cut down on alcohol,don't eat acid food like tomato soup etc..I am almost free of symptoms. I’m the same had several Endoscopies and ph test and now set for surgery been having bad acid since the age of 16 changed my diet gave up the fags on meds but still the same..on list now for surgery as last option. I don't think anyone gets over it completely but I'm off ppis with enzymes and probiotics and some dietary changes. is different. However a proper low carb, low sugar diet, taking probiotic everyday, not eating late, not eating large meals, eating soothing foods like licorice etc. And doing relaxing exercises like yoga. Its a serious start. 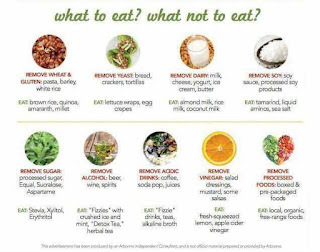 Clean eating with Arbonne healthy living program has cured me of gerd. If I don't continue I do have acid issues. If you want more info contact me. so by cured i picture what Joy said..not eating pizza and diet coke for dinner and being fine. i find it hard to think it wants you to have lemon and apple cider vinegar so many list say the opposite of each otehr its confusing. Once you add them to water it becomes alkine effect. Idk how but it does. Soda is very bad for the body. 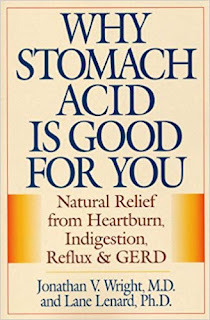 everyone that is suffering from acid reflux needs to detox their body to feel better. I've never been a pop drinker so that's not an issue for me. I thought I am free of reflux. I can eat almost everything, except for tomatoes , garlic and milk. Then one day stress came, and all the food that I was able to eat are now acting up on my tummy.